We live in a culture that venerates youth. The tighter and dewier the skin, the firmer the forehead, the more you don’t “look your age”, the more you are rewarded by our society. Combine that with the fact that we are less and less connected to our elders—whether by moving away from family or placing them in elder care homes isolated from the rest of society, we as a culture are deeply afraid of aging. But you know what’s also true? We’re all growing up. Every single one of us. 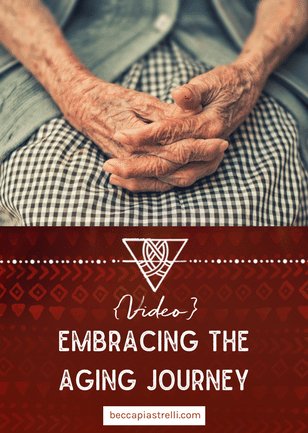 This fear of entering into the time of the crone—a position once held as wise and powerful in ancient societies around the world (and some still today)—is preventing us from connecting to our own place in the natural cycle of life on earth. It is disconnecting us from the elders in our community and severing our ties with the ancestors—both living and dead. I’ve recognized this fear within myself, and I have been looking to wise ones, to elders, to wisdom-aged folks to share their journeys with me in order to alchemize my fears into joyful surrender. My dear friend (and member of The Creative Sisterhood), Della Ratcliffe, has been such a way-shower for me with what it means to embrace cronedom and the aging journey. I came to her with a request to share her wisdom on aging because I felt ill-equipped at holding such a conversation. 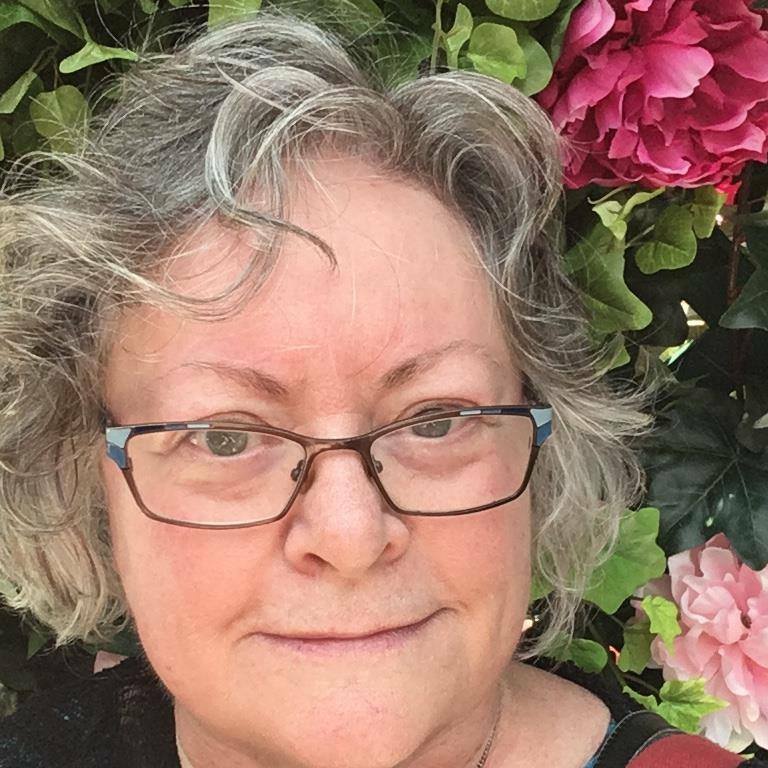 I, a woman in her 30s and not yet a mother, can’t possibly understand what it means to live life in her 60s or 70s. And, as someone who is looking to bring more elders into her life, I knew Della would have some sage wisdom to share. And share she certainly did (including calling me on my belief that I have zero understanding of what it means to embody the crone). 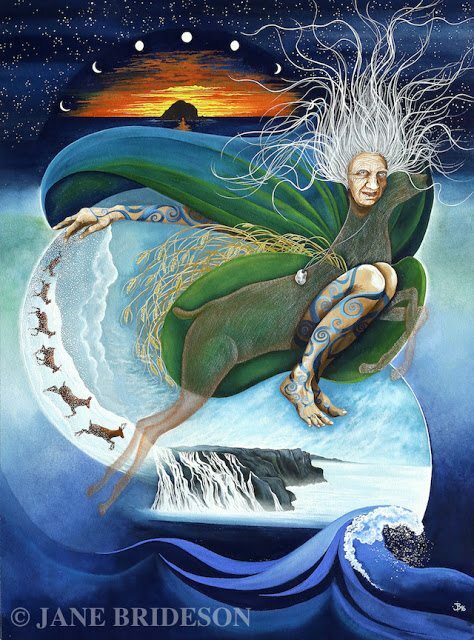 I invite you to join our delightful conversation about embracing age, the dreaded C word, embodying the triple goddess, connection to the seasons, the goddesses, and so much more. You can find out more about Della’s work on her website Inner Journey Events. You can join her Wise Woman Bean Gealach Circle on Facebook. And be sure to follow her on Instagram @innerjourneyevents and @bean_gealach_circle. Oh! And her free course Wisdom From Grandmother Moon can be found here. What is your relationship with aging? Do you have a fear of cronedom? How can you embrace your aging journey with more care? I really enjoyed the whole recording and feel invited into a whole new world of exploring my aging in companion with nature and my ancestors. I realize how alone I often feel as I get older and how much guidance and companionship and understanding and insight there is out there. Thank you Della and Becca! I am reminded that no matter how “old” you are, there are new worlds to explore and new ways of looking at my own world that will keep it from shrinking as I age.